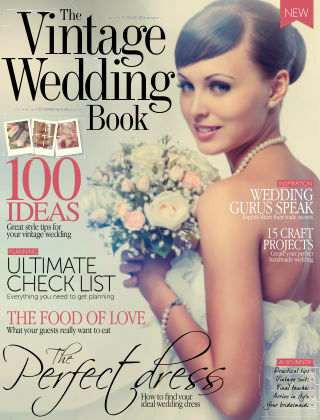 With Readly you can read The Vintage Wedding Book and thousands of other magazines on your tablet and smartphone. Get access to all with just one subscription. New releases and back issues – all included. It’s easy to see why more and more brides and grooms are choosing a vintage theme when planning their big day. Whether it’s nostalgia for times gone by, or the classic glamour that captures your imagination, this book is full of ideas to help you plan the perfect wedding, from picking your particular style of ‘vintage’, to flowers, food and of course, the all-important dress. You’ll hear from real-life vintage brides, and discover the secrets to getting your chosen style just right. To add the perfect handmade finishes to your wedding, we have 15 amazing craft projects for you to complete. Whether you want to save money or put that extra bit of love, care and individuality into your day, you’ll learn how to make invites, centrepieces, bunting, favours and so much more!